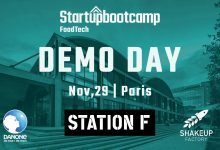 Startupbootcamp FoodTech, the leading global accelerator of foodtech startups, announces the 7 startups (find the list below) from 6 countries that will participate in its next program and that will be officially presented at its 2018 Demo Day on November 29th at Station F in Paris. Givaudan, the global leader in flavours and fragrances, will join Danone and ShakeUp Factory as main sponsor of 2018 Demo Day. 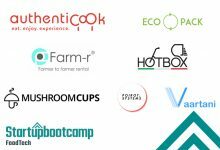 The sponsorship has been announced at the end of the Startupbootcamp FoodTech Selection Days, a two-day event where 7 startups were selected to participate in the next program of the Rome based accelerator. During the Selection Days, 18 top startups from 13 countries, were invited to present their companies to an audience of 100 highly qualified experts in the foodtech and agritech industries and to compete for one of the 7 spots in the next cohort of Startupbootcamp FoodTech. “We are so proud to announce that, also this year, we have been able to identify some of the best startups in the global agrofood-tech industries,” said Peter Kruger, CEO and MD of Startupbootcamp FoodTech. “Now this cohort of 7 teams will go through a very intense three-month acceleration program, here in Rome, starting on September 10th. We can’t wait to take these companies to Station F in Paris on November 29th, for our Demo Day, to present them to an audience of investors and corporate executives from all over the world”. Demo Day is the final day of Startupbootcamp FoodTech acceleration program that provides the graduating teams with a strong exposure to the global foodtech ecosystem and investment opportunities from a diverse set of partners, investors, corporates and venture capital firms. Givaudan is the third main sponsor to support 2018 Demo Day, joining with global foodtech leaders such as Danone and ShakeUpFactory. 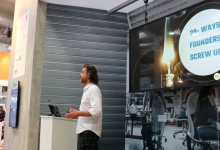 “As the global leader in the flavour industry, it’s important for Givaudan to extend its presence and engagement in different food start-up ecosystems, where innovation is happening. 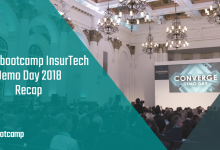 Supporting Startupbootcamp FoodTech’s 2018 Demo Day gives us a great opportunity to continue connecting and collaborating with foodtech startups that could transform the business and shape the future food and beverage industry landscape,” said Alexandre Bastos, Givaudan Flavour Director Adjacent Spaces. 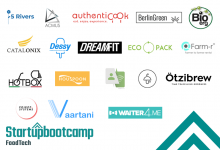 Corporate partners play a fundamental role in Startupbootcamp FoodTech acceleration program, which will kick off on September 10th, 2018 for the third time and will end with the Demo Day on November 29th, 2018. Description: Authenticook is connecting locals and travelers over unique culinary experiences hosted by local families. Traveling like a local was never made easier! Description: BIOerg is able to commercialize a high molecular-weight dextran called NextDext. Nextdext is a high-quality, low-cost natural ingredient with many applications in nutraceutical and food industries. Description: Farm-r is a P2P/ 2B marketplace that allows farmers to share machinery and services. It aims to solve the machinery underutilization in the agriculture industry by providing on-demand access to machinery in just a few clicks. Description: Hotbox invented a groundbreaking device & service for the food delivery sector. The device preserves hot and fresh food during the delivery while the service enables a scooter sharing platform. Description: Mushroom Cups is creating the mushroom infused coffee that naturally boosts and prolongs the coffee experience while minimizing the side effects. Taking advantage of the impressive power of mushrooms, Mushroom Cups is ready to disrupt the coffee industry! Description: Poirot Systems offers fast and flawless inventory management for the hospitality industry. Replacing manual labor done with pen and paper, Poirot Systems will help bars & kitchens save time, money, and paper while helping them to have a full grip on their operations. Description: Vaartani is building a pre-trained AI model, which can understand, classify and answer consumer queries related to packaged-food products. With Vaartani, brands will easily satisfy consumers’ need for information. These 7 top leading foodtech startups have been selected among 696 applications received from 86 countries around the world. 17% of the applicants came from Italy, followed by the US (11%), UK (9%), France (5%), India (4%), the Netherlands (3%), Israel (3%), Germany (3%), Poland (3%) and Canada (1%). Description: Berlin Green introduces hydroponics and indoor gardening to our everyday life. Its modular, smart and cloud-integrated system will help you master indoor gardening without any effort. Description: Eco Pack provides biodegradable packaging films based on vegetable raw materials with a cost of 1$/kg. The company is here to reduce all the costs and the environmental contamination related to use of hydrocarbon plastics. Givaudan is the global leader in the creation of flavours and fragrances. In close collaboration with food, beverage, consumer product and fragrance partners, Givaudan develops tastes and scents that delight consumers all over the world. With a passion to understand consumers’ preferences and a relentless drive to innovate, Givaudan is at the forefront of creating flavours and fragrances that ‘engage your senses’. The Company achieved sales of CHF 5.1 billion in 2017. Headquartered in Switzerland with local presence in over 100 locations, the Company has more than 11,100 employees worldwide. Givaudan invites you to discover more at www.givaudan.com. Launched in 2016, Startupbootcamp FoodTech is the global foodtech accelerator program and the only program of its kind to attract industry-wide support. Based in Rome, its partners include Danone, Gambero Rosso, Monini, LVenture Group, M3 Investimenti and other investors. With 18 startups in its portfolio from 12 different countries, the accelerator program gives startups access to world-class industry expertise during an intensive three-month program. It is part of the global award-winning Startupbootcamp, a network of industry-focused startup accelerators. Visit https://www.startupbootcamp.org/accelerator/foodtech/ for more information.